﻿ Museums and archives of all types, as well as private collectors and photographers themselves, are creating an increasing demand for professionals with the knowledge and skills to properly preserve and manage photographic collections. 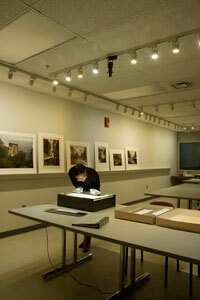 The Photographic Preservation and Collections Management (PPCM) program is designed to address this need. This Master of Arts degree is the premier program in the United States dedicated to both the study of the photograph as an object and the historic, theoretical, and cultural significance of photographic images. Combining theoretical insight with practical training, the PPCM program prepares students to work with photographic collections while helping them to develop a holistic understanding of photography, from its history and material processes, to its multiple applications and physical characteristics. 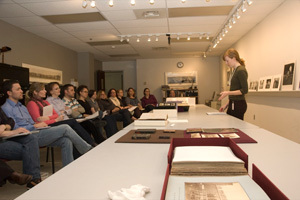 Students learn how make preservation housings, what kind of temperature and humidity controls are needed to preserve photographs, and when to consult a conservator. The George Eastman Museum offers students the unique opportunity to work with one of the best photography collections in the world, as well as a staff of experienced photography professionals. The University of Rochester is one of the country's top tier research universities and a leader in the study of the image. This kind of access allows students to understand and appreciate photographs as more than reproductions on a page or screen, but as real, dimensional objects with specific histories and characteristics. Students come from all over the world, with backgrounds in studio photography, art history, and museum or archival studies. Graduates of the program have the skills and knowledge to properly care for photography collections, and they go on to careers as curators, archivists, registrars, and a range of other photography-related professions.